Once again, the Seattle Boat Show is underway at the Century Link Exhibition Center, as well as Lake Union. It’s one of my favorite times to see everything that’s new in the boating world, visit old friends at the show, and check out new places to visit in the coming summer months. As a member of the NMTA, I appreciated the complimentary tickets sent out in the latest newsletter. And props to Elliott Bay Marina for running a shuttle to the show! What a great convenience given that Mariners’ Fan Fest was going on next door at Safeco Field and parking can be a little challenging on a busy weekend. We first visited the Sea Ray display — checking out the newest in their power boats. 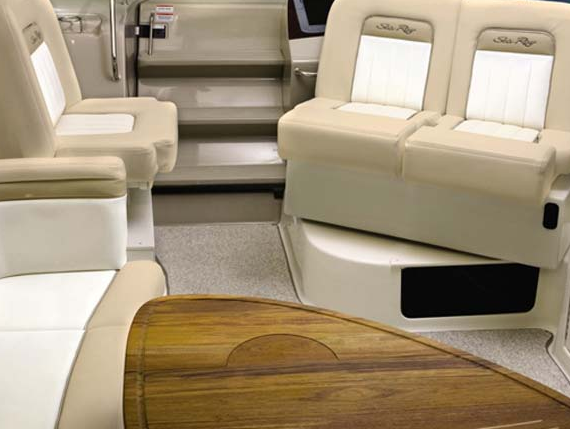 Sea Ray has made a number of design changes over the past few years, and their boats are stunning. A couple of things I noticed — the manufacturer now runs it exterior carpet in the cockpit to the edges. We have always had this done with our carpets, finding it gets rid of gaps that collect dirt, food, dog hair and everything you don’t want to see on your boat. It makes vacuuming your cockpit floor all that much easier, and looks neater, too. I also noticed the end of fiberglass dining tables in the cockpit. This year, they’re teak and they are beautiful. It’s one of the first things I asked — where can I get one and how much do they cost? Apparently, I’m not the only one who’s noticed as Sea Ray reps told me they’ve already gotten a number of requests, asking about the new tables. And then it was off through all the booths! 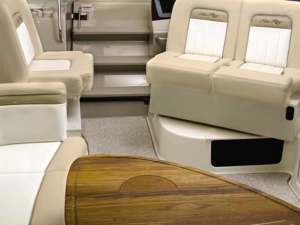 I love looking at all the new gadgets and items that can make your boating life easier. This year, we looked at everything from new, more comfy antibacterial mattresses, to acrylic wine glasses that are ‘weighted’ on the bottom to keep them from spilling. At this boat show, you’ll find everything you’ve ever thought of, and a lot more that you’ve never even imagined. But what we also had fun with this year are the marinas and boating locations – some of which we’ve only dreamed of visiting. 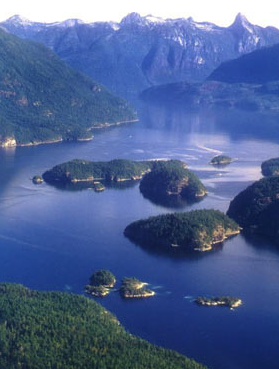 We have to be some of the only boaters around who have not yet made it to Desolation Sound. Yes, it’s on our list. And the people at Desolation Sound Yacht Charters showed us beautiful photos of why we absolutely need to make this trip. We met others from Wrangell, Alaska, with very cool guided jet boat tours to see bears, and other wildlife, as well as fishing for salmon, halibut and lingcod. 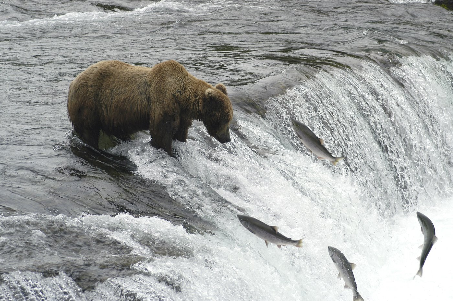 This is another trip we’ve yet to make, but will visit Alaska to fish and see glaciers. The Seattle Boat Show runs through February 3rd this year. During these cold, dreary months of winter, it fills me with anticipation of what new adventures await us when our summer boating season here in the Pacific Northwest finally arrives!